Who Moved My Borscht? : Family and Victory Day! What a glorious week with family in town! My parents made a visit to Moscow to check out our digs and this beautiful city. Steve and I were thrilled to have them here. 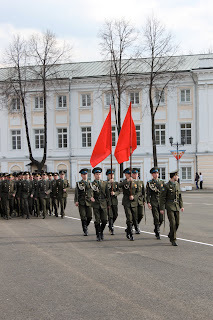 Their arrival was on May 9th - Victory Day! (The end of WWII was declared on May 8th but with the time difference - May 9th in Russia). An incredible 25 million Russian soldiers died in WWII. As a national holiday (similar to our July 4th), Moscow celebrates with a large scale military parade. Do you remember the old images of tanks rolling through Red Square? They still do today! We can see the Kremlin from our living room - and heard the soldiers yelling in unison - quite thrilling. 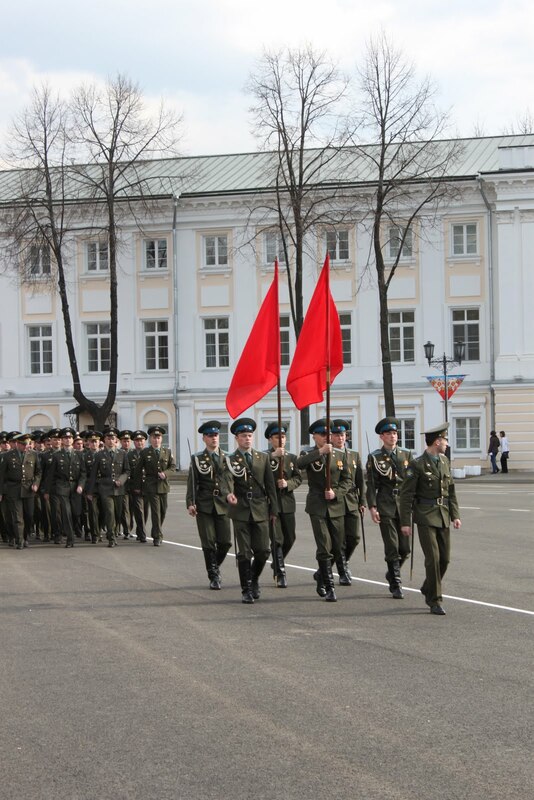 Even more fascinating - the Russians were able to control the weather on parade day! 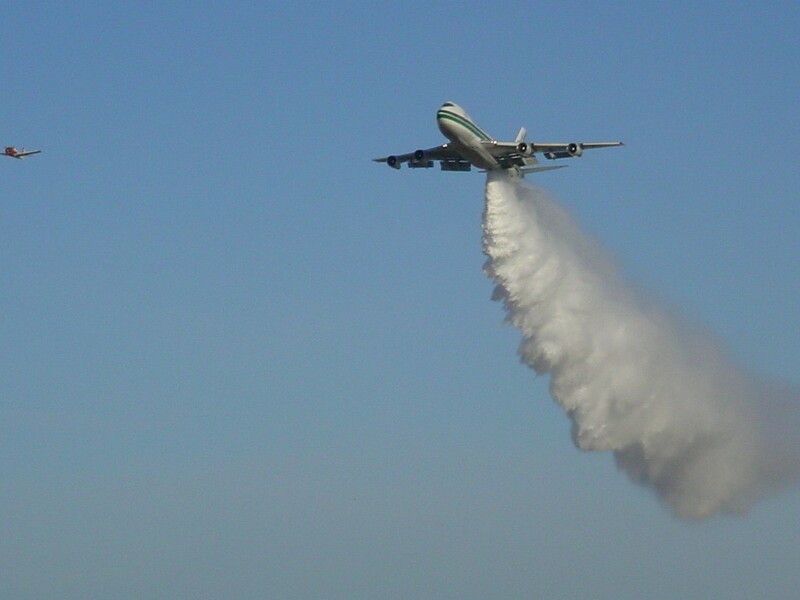 You may have heard of cloud seeding - weather modification that helps control the amount of rain that falls from clouds, (typically used to create more rain over farmland, etc.). In Russia - it’s used to drive rain away to insure it does not “rain on their parade”, (they’ve apparently done this for years). They use a machine (or plane) that spits silver iodide, dry ice or cement into the clouds, (brings new meaning to acid rain). When the chemicals touch the cloud, a hole appears. It becomes bigger and bigger, and it either rains right there and then or, if the clouds aren't very dense, they disperse without any precipitation. I guess we actually can mess with Mother Nature! And so...on Victory Day...it rained....but then it cleared up to a bright sunshiny day! That's crazy!! I've heard of cloud seeding but never had heard the details. Is it healthy to breathe? Great question - I was wondering the same! From what I've read, ecologists say the technique does not pose much of a threat to the environment or human health since the active cloud manipulation is for such a short amount of time. I also read one year chunks of concrete were falling from the sky....crazy!